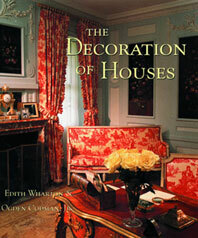 The Decoration of Houses - Description | W. W. Norton & Company Ltd. In addition to her fame as a novelist, Edith Wharton has now been recognized as an arbiter of taste and correct usage in the making of domestic interior rooms, and Odgen Codman, Jr., has achieved recognition as a revivalist architect of the first rank. The original text of The Decoration of Houses continues without revision as an authentic classic, perhaps the most important book of its kind ever published. Its carefully reasoned chapters on such aspects of house interiors as fireplaces, ceilings and floors, halls and stairs, are of the greatest value to professionals and serious amateurs concerned with interiors. This expanded edition includes an introduction by Henry Hope Reed and three critical essays by John Barrington Bayley, William A. Coles, and Alvin Holm, AIA. Additions to the album of renderings and photographs of modern and contemporary work in the tradition of Wharton and Codman include a number of important works done in the last decade or so. A portfolio of color plates new to the expanded edition offers the work of such accomplished photographers as Bill Ray and Anne Day. First published in Norton paperback in 1978 in association with Classical America. A selection of Book-of-the-Month Club and Newbridge Book Clubs. This Norton Critical Edition of Edith Wharton's celebrated novella isbased on the first edition, published by Charles Scribner's Sons in1911.